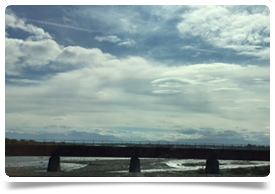 In the final part of this series of blogs about their Whistle Stop Tour of New Zealand, Debbie and Nicky are in Napier and Christchurch. 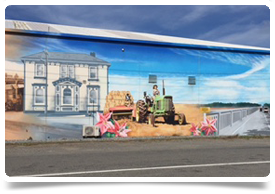 They discover a beautiful Art Deco town with a buzzing café culture, and a rapidly regenerating community in the stunning South Island. 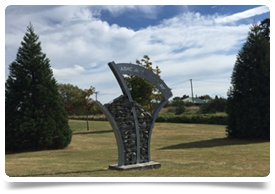 After such a busy day yesterday we welcomed the chance to have a slower day, meeting with a couple of clients in Napier before heading to the airport to fly to our final destination of Christchurch. The day started with a breakfast meeting at a local café with one of our clients from the local Health Board. This seemed to be a hot spot and it was already buzzing with the sound of chat and laughter of people who were having an early morning business meetings or just a friendly catch up before their day started. It was great to hear about how healthcare in the region had changed and the plans in place to build on these changes. 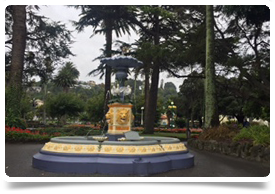 It was also really great to hear about the history of Napier and the Tremains Art Deco Festival which takes place every February and sees the city transformed back into the 1920’s. The city bring this bygone era back to life with classic cars, air displays, outdoor concerts and tourists and locals alike dressing in a 20’s style and bringing glamour to the city streets. From there we went round to see another client with a large network of practices across both islands. This was just a flying visit as my contact was off sick that day. I’m sorry that I wasn’t able to catch up in person but it was great to get the chance to see another practice. As we had finished up earlier than expected so we had a chance to explore the town. 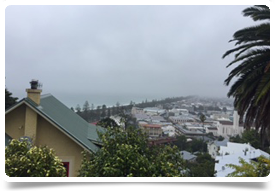 Even though it was an overcast day, Napier still had me captivated. The views from up on the hill were spectacular. After a quick look around it was time to head to the airport. I have never been in an airport that houses all facilities in one room! The terminal building acts as check in/bag drop off, passport control (which is actually the check in desk), waiting area, departure lounge and boarding gates. 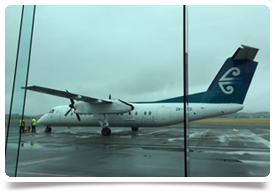 With the large windows of the Terminal building, it was fascinating to see each plane land, disembark arriving passengers, then board new departing passengers and then take off again. I must admit, I was slightly nervous about boarding a small aircraft but it was actually a very pleasant experience. 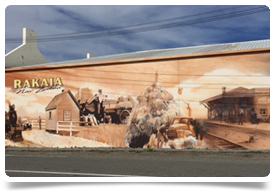 When we landed in Christchurch, it was straight to pick up our hire car and then off to visit the rural town of Rakaia. Then we headed back up to Christchurch which was going to be home for the next two nights. Because of when we landed we ended up getting caught up in rush hour traffic. It ended up extending our journey time by 45 minutes (I just wish rush hour traffic back home flowed as easily as it does in New Zealand). It was a lovely sunny evening which helped to magnify the beauty of the South Island which we got to see on our drive. The South Island was proving to be just as captivating as the North Island had been. It was another early start for us on Friday morning - our last day on the road in New Zealand. 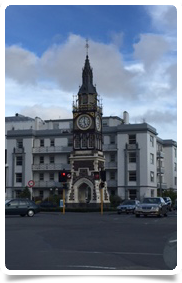 The four meetings we had booked in would see us in and around the city centre and also take us to the outskirts of town so we got a chance to see Christchurch. It was great to meet up with our clients in person and hear about their forthcoming opportunities and how their practices are looking to expand. 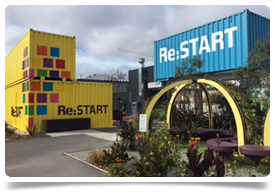 There has been a large influx of people coming back to Christchurch in recent years which is driving the expansion in some of these practices. For a city that had been left devastated after the earthquake on 22nd February 2011, it was very bitter sweet to see some of the few remaining historical building that had survived. 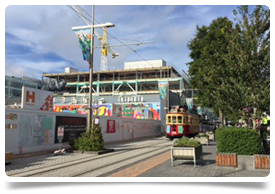 These buildings will be a lasting memory of what Christchurch has endured and they are now standing alongside the new cosmopolitan architecture which is a sign of a stronger and regenerated Christchurch. 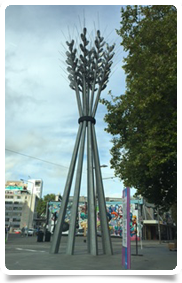 Christchurch is a fascinating city. There is a real buzz about the city and with so much regeneration going on it has a very cosmopolitan feel. 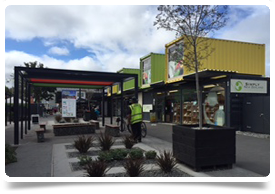 Never did I imagine I would be sitting having a Flat White in a coffee shop situated in a shopping centre made out of shipping containers. There are beautifully restored heritage Trams which loop through the city or it is easy to walk around taking in the sights of a city being rebuilt in front of your eyes. Our last night was spend having a lovely meal and reflecting on the success of our trip before heading back to our hotel as we had an early morning flight over to Australia. New Zealand has everything you could possibly look for in a location. History, character, stunning locations and some of the most friendly and accommodating people I have ever had the pleasure of meeting. The only negative thing I can say about my trip to New Zealand is that it came to an end too quickly. There is so much more to see and explore, but there just wasn’t enough time. 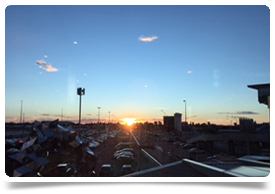 With the sun starting to rise, it was with a heavy heart I said goodbye as I flew out of Christchurch airport. I am not ashamed to admit that I have totally fallen in love with New Zealand. Read part one of Debbie and Nicky’s Whistle Stop Tour. Read part two of Debbie and Nicky’s Whistle Stop Tour. Read part three of Debbie and Nicky’s Whistle Stop Tour.